It is definitely time for another round-up of what I have been reading and loving in baby storytime! Don't miss the links at the end of this post to previous What to Read at Baby Storytime lists. And I would LOVE to know what your recent new (or new-to-you!) favorites for baby storytime have been, so please leave suggestions in the comments. When I look for books for baby storytime, I try to find books that have some element that I can make interactive, as that helps keeps parents and kids engaged in what we're doing. Maybe it has a repeated refrain that caregivers can say along with me, maybe there are actions that can be suited to the words as we're reading, maybe it's a book that can be sung. All Fall Down by Mary Brigid Barrett, illustrated by LeUyen Pham (Candlewick Press, 2014). I love, love, love LeUyen Pham's illustrations, which is why I wanted to give this book a try. With the babies, I encourage caregivers to lift baby up and then bring baby down quickly on the repeated chorus of "All Fall Down!" You could also have caregivers drop baby between their knees or fall over to the side. All that movement is not only a fun way to connect baby to what we're reading, but helps develop baby's sense of balance. Higher! Higher! by Leslie Patricelli (Candlewick Press, 2009). As a child swings, she begs her father to push her higher and higher. 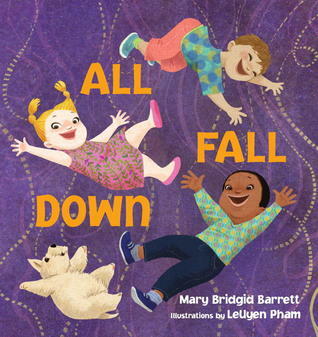 This is another great book for encouraging movement - lift baby on the chorus of "Higher! Higher!" 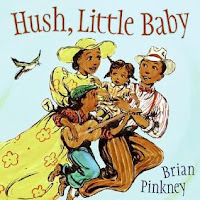 Hush Little Baby by Brian Pinkney (Amistad Press, 2005). This traditional nursery rhyme is illustrated with depictions of an early 1900s African American family. This is a great book to sing and caregivers familiar with the song will sing along with you. The large trim size of this book makes it a great choice for sharing with a group. I Can Do It Too by Karen Baicker, illustrated by Ken Wilson-Max (Chronicle, 2003). This book depicts an African-American family doing everyday things like pouring juice, baking a cake, and reading a book, with the young protagonist showing that she can do it, too. The companion book You Can Do It, Too (Chronicle, 2005) shows a baby brother following in her footsteps and doing the things she is doing. Books that show everyday situations are easy for young children to relate to and you can make this one interactive by asking "Can you do it?" and suiting actions to words (mixing a cake, sipping tea, etc.). Jamberry by Bruce Degen (HarperFestival 1982). I love the sounds and rhythm of this book, which make it a great book to share with little ones. This is a great book to sing - I usually sing it to the tune of "London Bridge is Falling Down", as suggested by Melissa Depper at Mel's Desk. My Nose, Your Nose by Melanie Walsh (HMH, 2002). Books that name body parts are always fun to incorporate in baby storytime because you can make them interactive by encouraging parents to touch or tickle the body parts on their own child. That's not only fun but helps young kids learn that body part vocabulary. 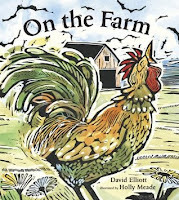 On the Farm by David Elliott, illustrated by Holly Meade (Candlewick Press, 2008). 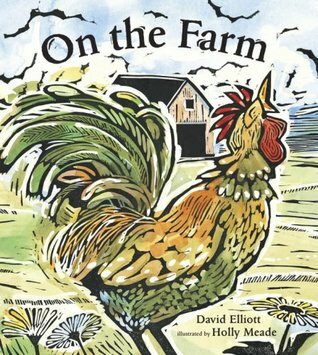 This beautiful book of farm poetry is a little long for babies in its entirety, so I choose two or three or four poems to read and then we make the animal sounds that those animals make. Say Hello Like This by Mary Murphy (Candlewick Press, 2014). Here's another great book for incorporating animal sounds into your storytime. I love the bright, colorful illustrations of this one. As you read each spread, have caregivers join in with you on the animal sounds or ask caregivers and children what sound the animal makes. Ten Tiny Tickles by Karen Katz (Margaret K. McElderry, 2005). Karen Katz is always a hit - something about her round-faced illustrations is super appealing to young children. This is a fun one because you can encourage lots of tickling as you read through. 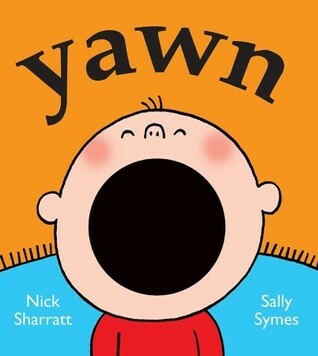 Yawn by Sally Symes, illustrated by Nick Sharratt (Candlewick Press, 2011). This is a cute little book with a great rhythm. You can encourage caregivers to join in on the "gave a yawn" chorus or to help you identify the next animal in each spread. I would love to hear what books you've added to your baby storytime roster! Please suggest titles in the comments below!